Driving home the other night I was noticing the tail end of a fantastic sunset just as I was passing the state capitol building. 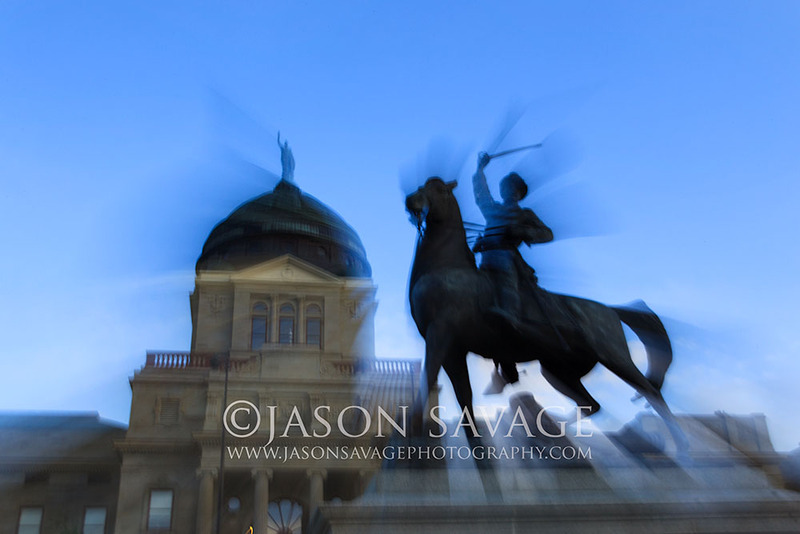 I quickly pulled over and caught just the last bit of light on one of Montana’s historic landmarks and managed to make a few decent images. However it wasn’t until after the sun had set that I captured this one. Experimenting with some slower shutter speeds allowed me to add a little more life to a quickly fading scene.